The confirmation was announced in an OFC statement released yesterday announcing the schedules and details for its key competitions for 2012. This includes the region’s Olympic Qualifiers as well as the U-17 and the U-20 Women’s Championships. 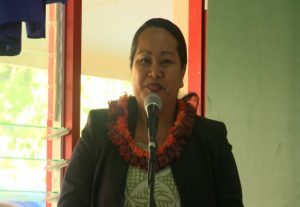 So the OFC’s International Calendar will kick-off in the Kingdom of Tonga with the 2012 OFC Women’s Olympic Qualifiers to be staged at the home of Football, Loto Tonga Soka at ‘Atele from March 1-9. A total of seven countries will be represented (American Samoa, Fiji, Papua New Guinea, Samoa, Solomon Islands, Tonga, Vanuatu) and they will all vie for a spot in phase two. The teams will play on a round robin format, followed by the semi-finals and the final and the champion will face long time Oceania title holder New Zealand in a home and away match on March 31 and April 4. 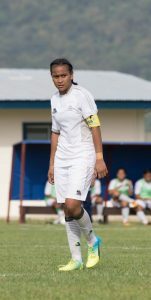 The sole survivor from phase two will represent OFC at the 2012 London Olympic Games from July 25 – August 9. In the meantime, the event will mark another milestone for Tonga Football Association, as it represents the first ever-qualifying tournament to be staged in the Friendly Islands. All preparations are in full swing, especially with the upgrading of the playing pitches and facilities and TFA is confident that this is a once in a lifetime opportunity to expose Tonga’s ability of hosting international soccer events. “…I believe that if we do it right we will be offered with more opportunities in the future. Right now we are shaping up everything and it is very important for us to be well prepared and to make our mark in hosting global events…” says Tonga Football Association Secretary General and Chief Executive Officer, Mr. Lui ‘Aho. Meanwhile the OFC Men’s Olympic Qualifier will be staged in New Zealand from 16-25 March and Tonga will take part. The U-17 and U-20 Women’s Championships, which both act as FIFA World Cup qualifiers, will be played conjointly during the school holidays from 9-14 April in Auckland, New Zealand. The OFC Executive Committee approved the revised schedule following a review of the events calendar in which a number of factors were considered including participation, logistics, finance and other matters. Next PostFUTURO III concludes in high note.